How Are the Prophecies of Jesus' Second Coming Fulfilled? 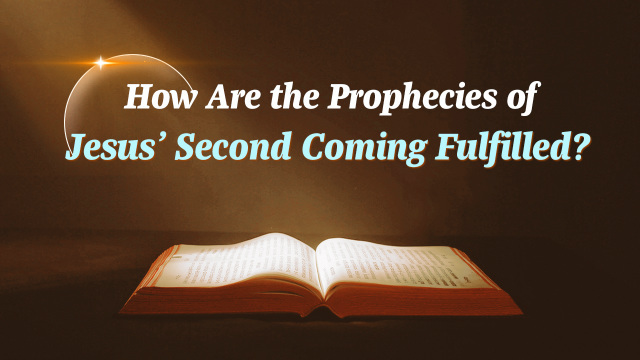 How Are the Prophecies of Jesus’ Second Coming Fulfilled? My co-worker Wang Shaojun has just moved into his new home. After settling in, he called a few of us co-workers there to have a gathering. On the appointed day, we got his home one after another. Wang Shaojun’s cousin Zhang Xiangming, who is also a Christian and has believed in the Lord for many years, was also present. We were all glad to meet together. However, the moment we took out our Bibles and were about to fellowship, we heard police sirens outside. Everyone was a bit shaken. Chen Mo said with a worried face, “Definitely. We all have been looking forward to the Lord’s arrival during these years. Who wants to be persecuted by the CCP? I thought the Lord would return in 2000. However, so many years have passed and we still haven’t seen the Lord return. What is really going on here?” Brother Chen voiced our mind and what he said was exactly what we all felt anxious and confused about. Chi Shouxin, however, had a suspicious look on his face. As he flipped through the Bible he said, “Sister Wang, this is impossible. It is said in Matthew 24:29-30, ‘Immediately after the tribulation of those days shall the sun be darkened, and the moon shall not give her light, and the stars shall fall from heaven, and the powers of the heavens shall be shaken: And then shall appear the sign of the Son of man in heaven: and then shall all the tribes of the earth mourn, and they shall see the Son of man coming in the clouds of heaven with power and great glory’ (Matthew 24:29-30). The scriptures clearly say that the Lord will return by descending with the clouds and this will cause a big commotion. But have we seen this big commotion? And have we seen the Lord descend upon the clouds?” We all shook our heads. 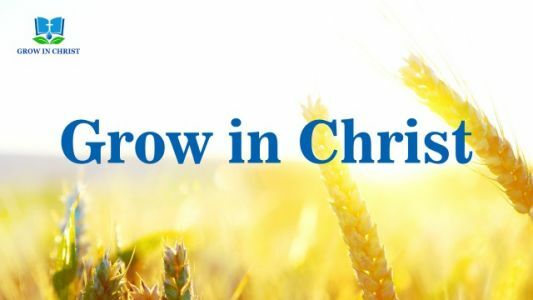 After hearing Brother Zhang’s words, I felt somewhat astonished and blurted out, “Descending secretly?” Then I hurriedly opened the Bible and looked up the scriptures he had just mentioned. I saw that these scriptures indeed mentioned the Lord’s coming. Pondering them, I thought: Could it be that the Lord has really returned in secret? We all discussed it, and then looked at Zhang Xiangming expectantly. After hearing these words, I also said approvingly, “Brother Zhang’s fellowship today is truly full of light. It seems that I took the Lord’s return to be too simple. In the Bible there’re so many prophecies about His return, but without even trying to figure them out with my heart, I defined the way of the Lord’s coming. I can only blame myself that I didn’t put in effort on the Lord’s word, but instead blindly listened to the pastors and elders, only holding on to the prophecy that the Lord will descend on a cloud. So foolish I am!” At that time, Chi Shouxin was on the side bowing his head in silence. There Are Two Manners of Jesus’ Return in Bible, How Shall He Come? The Bible says that Jesus will return the same way He left. So, will He come again in a spiritual body? But why many prophecies in the Bible mention that the Lord will return in the flesh? Then in which way will He return? Faith Q&A: How Do You Know That Jesus Has Returned Already? Question: Speaking of the return of the Lord, it is written in Matthew 24:36: “But of that day and hour knows no man, no, not the angels of heaven, but my Father only.” No one can know when the Lord Jesus will return, so how do you know that the..